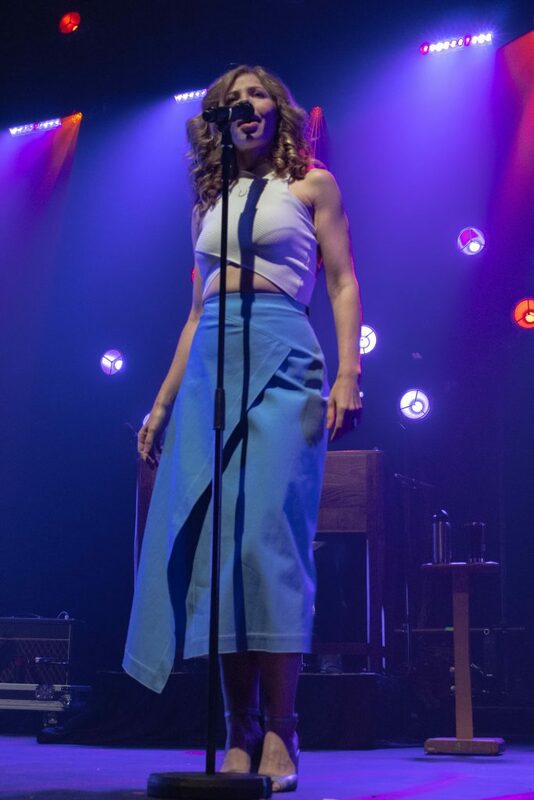 Making their 8th appearance at Thalia Hall, Lake Street Dive returned to a loyal fan base and a full house on Tuesday night. The band has been active since its formation in 2004, still boasting its original lineup of Rachael Prince (vocals), Mike “McDuck” Olsen (guitar, trumpet), Bridget Kearney (upright bass), and Mike Calabrese (drums), plus the addition of keyboardist and vocalist Akie Bermiss in 2017. The longevity of the group and their well-defined sound give them an air of maturity, which was reflected in the crowd they drew. The audience was almost entirely in their early 30s, drinking eight dollar beers, and probably into recycling. That didn’t stop them from singing and dancing along with the band, however. It was hard not to. Lake Street Dive has a unique way of crossing over time and space, tapping into genres like 50s jazz, 60s blues, 70s funk, 80s country, and 90s R&B to create their own “free country” music, completed by Rachael Prince’s powerful voice and insightful lyrics. The effect is a groovy twist on a classic sound. Lake Street Dive swaggered onto the stage, basking in the excitement of the devoted crowd for only a moment before launching into a song called “Baby Don’t Leave Me Alone With My Thoughts,” off of their new album Free Yourself Up. The stage was drenched in deep blue with shimmering pearls of disco light ricocheting off the bands loosely color coordinated outfits. At the center of attention, singer Rachael Prince rocked a baby blue A-line skirt, beach waves, and bold red lipstick. I couldn’t tell if the band was out in space or underwater but they were definitely in a world of their own. Especially with the way that the elaborate border framing the stage of Thalia Hall absorbed the color of the stage lights, it felt as if we were watching a sixties rerun of American Bandstand on an old CRT television. The dramatic lighting played a huge role in the stage dynamics for the rest of the show. The nineteen song set was broken into distinctive visual blocks that kept the songs from bleeding together, with the lighting emphasizing and complimenting the bands transitions between genre and mood. Even though the band has a relatively consistent collective sound, they were able to highlight individual influences in their music this way and seemingly travel through time. Each member of the band also enjoyed an individual spotlight at some point during the set, starting with Mike Olsen as he switched from guitar to trumpet during the fifth song “Better Than.” By this point highly polished feeling from the beginning of their performance had tarnished into a more relaxed, interactive atmosphere. The band played a few songs from some of their older albums, evoking nostalgic singing from the crowd who remembered Prince’s character “Bobby Tanqueray” from the band’s 2014 album Bad Self Portraits. 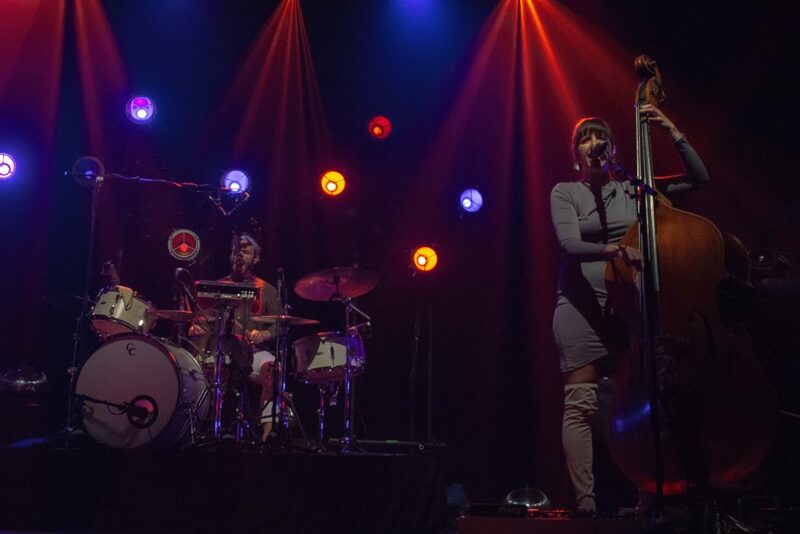 This time, bassist Bridget Kearney took the spotlight with a solo that transitioned the band into their hit “Spectacular Failure” off of their 2016 album Side Pony. The band kept jamming through their next few songs until Prince halted their flow to introduce Lake Street Dive’s relatively new member, keyboardist and vocalist Akie Bermiss. Bermiss took the band in a funkier direction with an R&B inspired cover of Shania Twain’s song “You’re Still the One.” After Bermiss’s enchanting voice riled up the crowd, the band played hit after hit while the audience sang and danced along. Instead of riding this energy to the end, however, the band chose to mellow back down and “let Rachael Prince do her thing” in the spotlight to the song “Could’ve Done Better.” The lights went low, and she was accompanied by only ambient instrumentals as she filled the space with her voice. The band played three more songs after, embracing the emotion of their lyrics, the clarity of their sound, and proving why, after 14 years, they can still pack Thalia Hall on a Tuesday night. 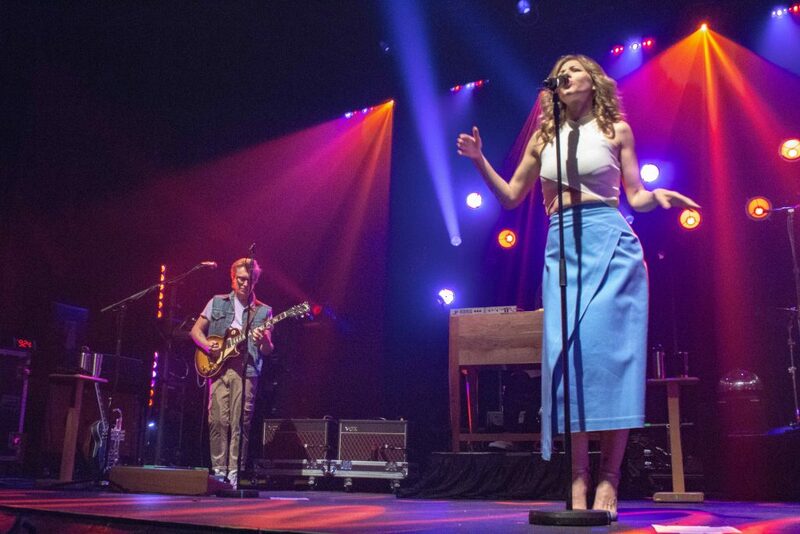 Lake Street Dive is a band that knows what it’s about and knows how to do it well.